Our SLS free body wash or bubble bath is infused with Papaya and Pineapple Enzymes to gently dissolve dead skin cells. Scented with Blood Orange, Lime and Lemongrass to promote positive feelings & reduce stress. 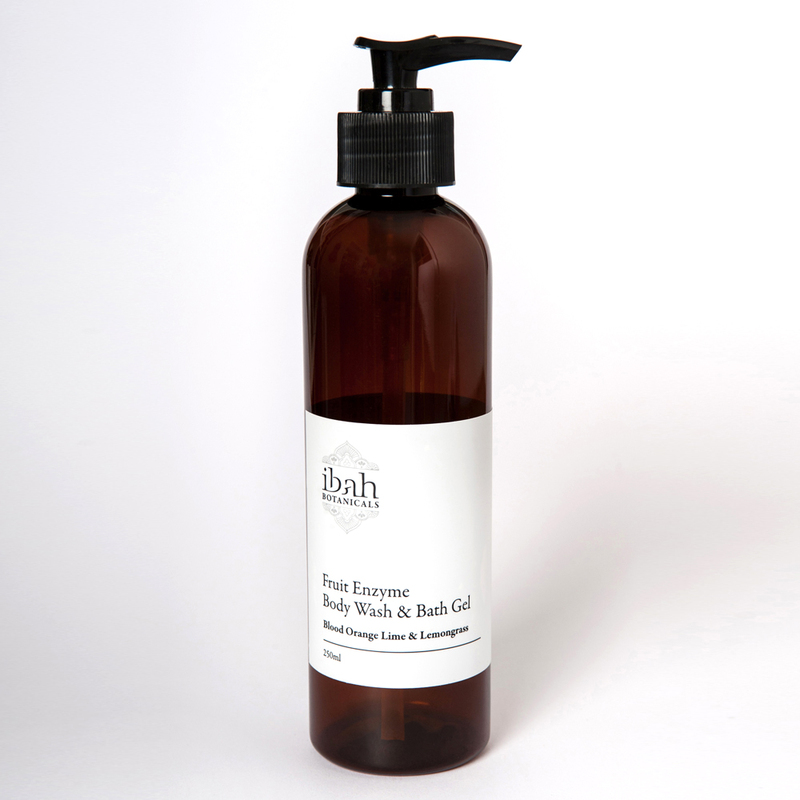 A Luxurious smooth cleansing body and bath gel for healthy cleansed and moisturised skin. Directions: Apply 2 pumps to face cloth and wash body or in bath and lather for bubbles. Purified Water, Lauryl Glucoside (Coconut & Sugar Derived), *Glycerin, *Asimina Triloba (Papaya) Extract, Cocamido Propyl Betaine (Coconut derived), Ananas Sativus Fruit Extract (Pineapple), Citric Acid, Citrus Sinensis (Blood Orange) Essential Oil, Citrus Aurantifolia (Lime) Essential Oil, Cymbopogon Flexuosus (Lemongrass) Oil, Tocopherol (Vitamin E), Hydroxymethylglycinate (Glycerin Derived). *Denotes Certified Organic.